Willie Jones was a Revolutionary War patriot and influential in the adoption of the Bill of Rights to the Constitution. Image courtesy of the North Carolina Collection, University of North Carolina at Chapel Hill Libraries. Willie Jones opposed the political philosophy of William R. Davie, an officer in the Continental Army and Federalist. Image courtesy of the North Carolina Office of Archives and History, Raleigh, NC. Jones was born in Surry County, Virginia. 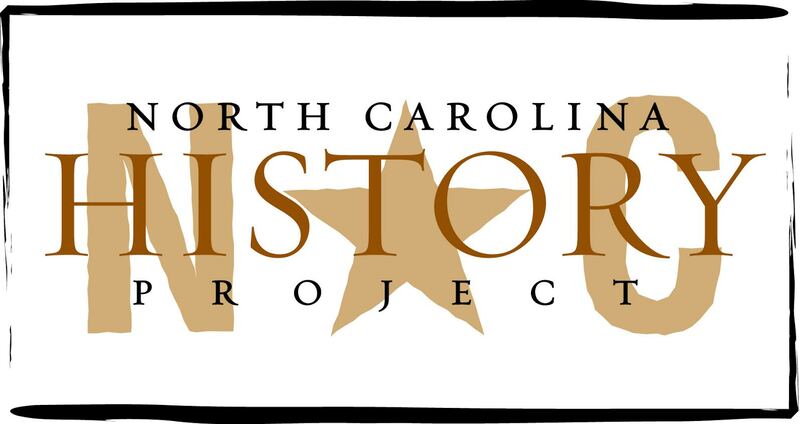 With his family, he moved to present-day Northampton County, North Carolina in the early 1750s. The son of a large landholder, Willie was tutored at home and traveled to England for an education. On returning home, the “eccentric” young man wasted no time wooing local belles. After an unsuccessful courtship, however, Willie took a vow of celibacy for three years. But after meeting Mary Montfort, the daughter of Colonel Joseph Montfort, Jones gave romance a second try. Willie and Mary wed on June 27, 1776. The couple had 13 children, of whom only five reached maturity (3 girls and 2 boys), of whom only 3 (all girls) married. As a result, the Jones family name died with Willie in 1801. Willie Jones was the quintessential aristocratic planter. His Halifax County plantation consisted of approximately 9,900 acres and 120 slaves. He was one of the largest slaveholders in the Old North State. This slaveholder defended liberty during the American Revolution (1776-1783), however. Before then, he served as a delegate of Halifax County in the lower house of the Assembly (1766-1768, 1771). In support of the British government, Jones and his militia company helped put down the Regulator rebellion of 1771, a movement that opposed the lavish behavior of Lord Tryon and increased taxation. Becoming disenchanted with the Royal Governors and the Crown, Jones soon turned into an ardent revolutionary. Royal Governor Josiah Martin remarked that Jones was one of the loudest voices encouraging secession from Britain and the establishment of an independent state. During the Revolutionary War, Jones served in various political and military roles. He was a delegate of Halifax County at the Provincial Convention of 1774. He served in the 1775 and 1776 Provincial Congresses as a delegate of Halifax County. In particular, he was the President of the 1776 Provincial Council. From 1777-1780, he served in the General Assembly House. He then represented North Carolina at the Continental Congress of 1780. In 1782, 1784, and 1788, Jones served in the North Carolina Senate. During the war, Jones also fought the British; in particular, he was a lieutenant-colonel under the command of Nathaniel Greene and led 300 men in the pursuit of Lord Cornwallis. In 1787, Jones was elected as a delegate to the Federal Convention (a meeting to solve the problems deemed inherent in the Articles of Confederation and delimited government), but Jones declined, claiming to be too busy. Once a new constitution was submitted to the states for ratification, Jones vigorously opposed its adoption. In North Carolina, two prominent Federalists (supporters of the Constitution) were James Iredell and William R. Davie. Jones opposed ratification, for he feared the Constitution created a standing army, a Supreme Court that overruled state court decisions, and a federal government that regulated the economy to benefit a few commercial interests. To Jones, the Constitution was a dangerous instrument of centralization; and to prevent it from being so, he wanted the document to enumerate specific, individual rights. Until such a list was included, Jones encouraged his colleagues to not ratify the Constitution. In great part because of Jones’s influence, the state of North Carolina remained out of the Union in 1788, but returned when it ratified the Constitution in 1789. And because of Jones and men like him, the Bill of Rights was eventually adopted. After North Carolina ratified the Constitution, Jones never served in political office again (although he did make an unsuccessful presidential run in the 1790s). Jones continued being a public servant, however. Thanks in large part to Jones’s effort as a commisioner, the city of Raleigh was established in 1792. For his significant role in the establishment of the capital, Jones has been called the “real founder of Raleigh.” Jones also served as a trustee for the University of North Carolina in the 1790s. For decades Jones had wanted (in true Jeffersonian spirit) a university that offered North Carolinians a means of enlightenment. Long after his death, Jones’s Anti-federalist beliefs lived on. Nathaniel Macon, for one, inherited Jones’s political tradition of dissent and suspicion of centralized government. William S. Powell, ed., Dictionary of North Carolina Biography 6 vols. (Chapel Hill, 1979-96); Blackwell P. Robinson, “Willie Jones of Halifax,” North Carolina Historical Review 28 (January, April 1941); Louise Irby Trenholme, The Ratification of the Federal Constitution in North Carolina (New York, 1932).